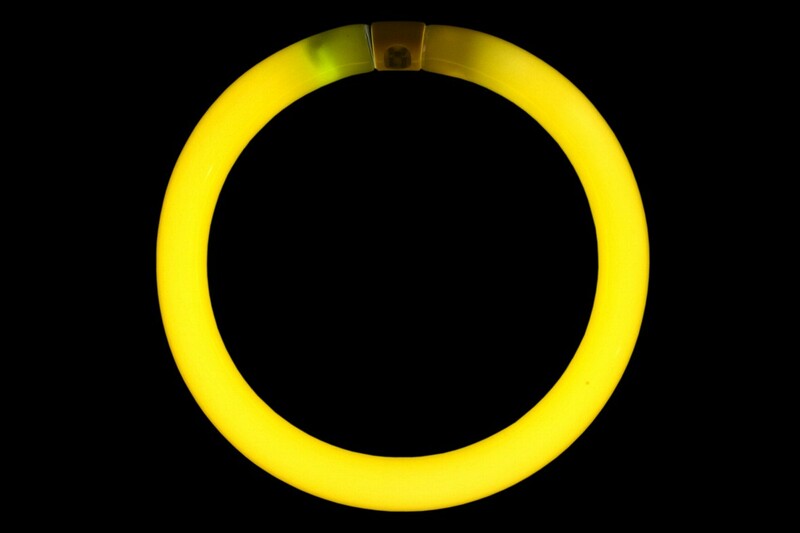 Circline lamps have typically only been manufactured for general lighting applications, and as such were produced primarily in the various white colours. A gold colour lamp was produced in the USA by Sylvania during the 1960s and 70s, but never became popular and has since been discontinued. Ultra-violet circline lamps were also produced for insect trapping applications. 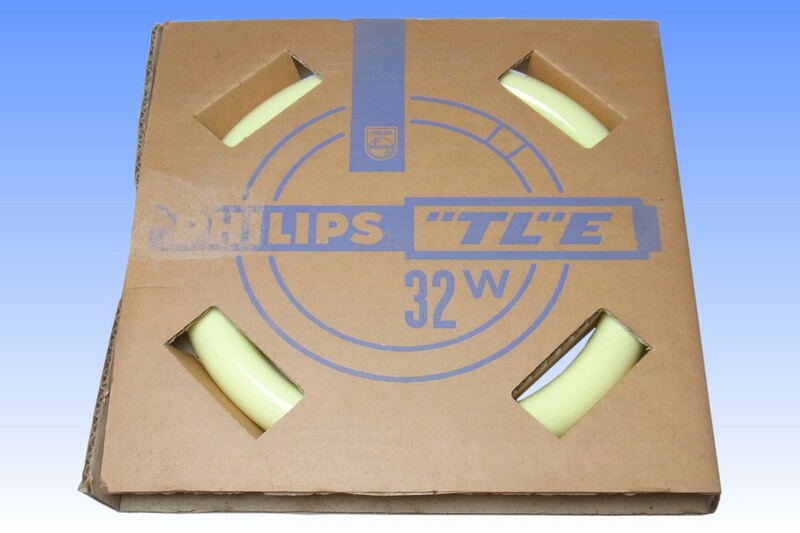 No reference to coloured circline lamps has ever been found in the Philips literature. Since this lamp also bears no marking aside from the handwritten number 16, Philips' reference for yellow colour fluorescent lamps, and because it was obtained from the old stock of a former employee of the Philips fluorescent works at Roosendaal, it is believed to be an engineering sample which was perhaps never marketed. 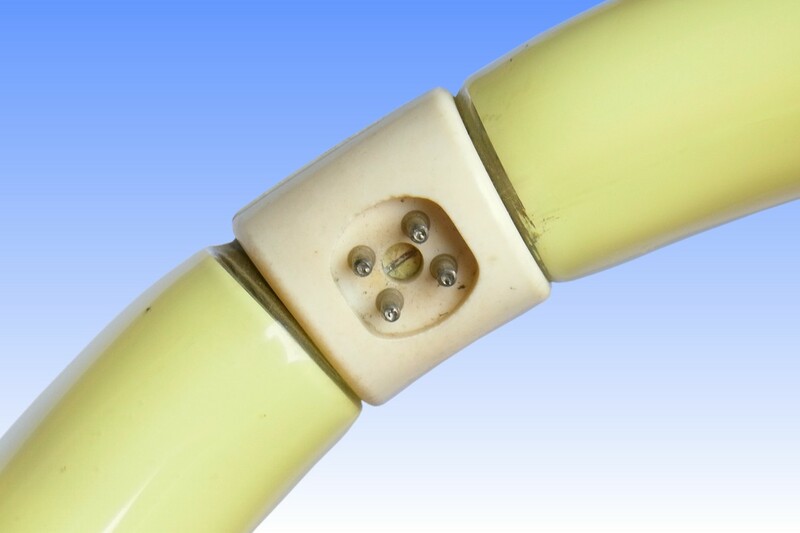 The construction is similar to Philips' circline fluorescent lamps of the 1960s, and includes a metal ring pressed into each of the end seals. 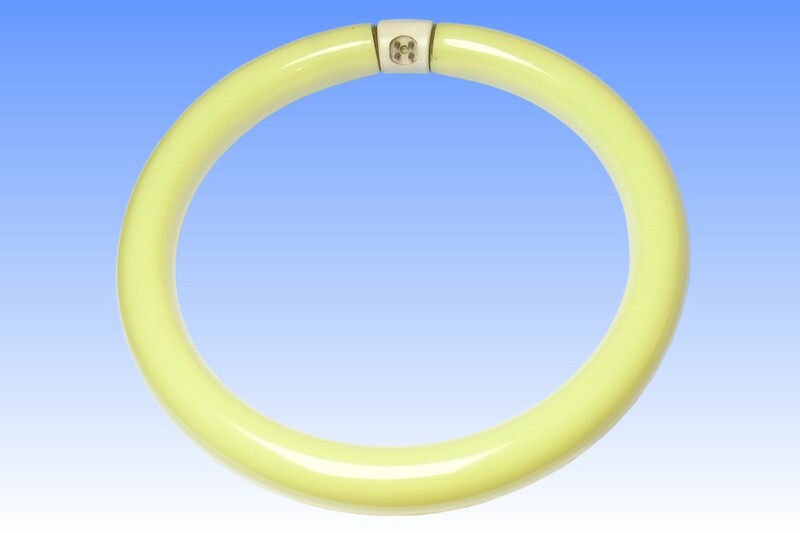 The purpose of these rings is not entirely clear, but would appear to have been used by all manufacturers of circline lamps until the 1970s, when the design of the glass seals was changed to a similar shape. It was perhaps only for easy manipulation of the softened glass tubing during its forming into a ring shape on the so-called Bendex machines - which bend and exhaust circline lamps in a single operation. 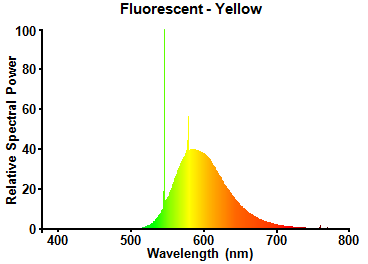 The yellow colour light appears to have been generated by a two-layer coating. First applied to the glass is a yellow colour filter, presumably a cadmium-based dye which serves to decrease the transmission of the mercury green and blue lines. Ontop of this is a second coating which appears to be the standard warm-white calcium halophopshate.